Losing one’s voice box does not mean that singing or joining a choir is impossible. I recall hearing Clifford Hughes, who once performed with Scottish Opera, singing at a NALC event in Scotland, despite having had a laryngectomy. Dr Thomas Moors has launched a charity, aimed at using singing as an aid to laryngectomee rehabilitation. The idea of a choir whose members have no larynx may appear to be fanciful but the results contradict that notion. Just click below to listen to a recording the choir made as a tribute to the UK paralympians! 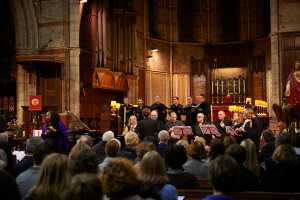 As well as being a very satisfying hobby, singing in the choir has benefits for members including a boost in confidence and improved breath control, helping with speech.